From bestselling author Margareta Osborn comes another scintillating rural romance with a devastating love triangle twist. After years of struggling as a single mother, Jodie Ashton has given up on love and passion. What she craves now is security for herself and her beloved daughter Milly. And marriage to widower Alex McGregor, the owner of the prosperous Glenevelyn cattle station in East Gippsland, will certainly offer that. If only he wasn't so much older and so controlling. Meanwhile, cowboy Nate McGregor vows off women, after his latest one-night stand costs him his job in the Northern Territory. Perhaps it's time to head back to his family home, Glenevelyn, to check out for himself the ‘gold-digger' his father seems determined to marry. Margareta Osborn is a fifth-generation farmer who has lived and worked on the land all her life. She also writes about it in the Gippsland Country Life magazine. Home is the beautiful Macalister Valley of East Gippsland where, with her husband and three children, she spends many hours in the mountains in which her novels are set. She is also the author of two bestselling novels, Bella's Run and Hope's Road, and the no.1 bestselling ebook A Bush Christmas. Another great read from Osborn!! Another amazing novel by Margareta Osborn. Absolutely love this author and only wish there was more of her books out there! I had to stop myself from reading the entire novel in one sitting! Bella's Run was her first novel. 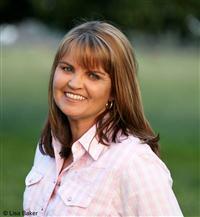 She is also the author of Hope's Road and the bestselling e-novella, A Bush Christmas.